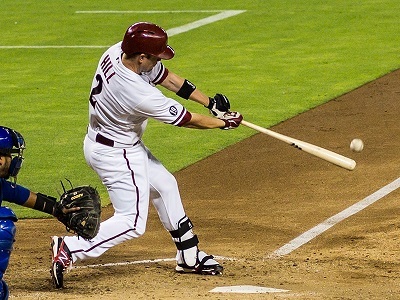 Get notified when Arizona Diamondbacks tickets are available! The Arizona Diamondbacks are a professional American baseball team out of Phoenix, Arizona. The team is part of the Major League Baseball association and was founded in 1998. They play their home games at the baseball-only park Chase Field, which can seat up to 48,519 people. The Arizona Diamondbacks won their very first World Series in the year 2001 and have won five national league titles. Their colors vary between red, sand, black, turquoise and white and their mascot is Baxter the Bobcat . You can see them play either at home or away in a city near you by purchasing Arizona Diamondbacks tickets using the links found above.